MP3, CD quality digital download/Spotify available from iTunes, Amazon, Spotify, Apple Music etc. Recorded in 1978, ‘Fat Doggie’ is a genre-defying fusion of jazz, funk, disco, soul and Latin. Solid rhythm section, tight horns, great tunes – imagine Average White Band, Santana, James Brown, Albert Ayler, & Tower of Power all on one album! The Greg Alper Band featured the finest jazz players in New York, including Richie Morales (Spyro Gyra, Brecker Bros), Chuck Loeb (Bob James, Fourplay) & Ray Anderson (Best Trombonist: Down Beat magazine critics poll 1987-91). The disco infused funk opening cut Hole in Your Pocket, was a dance floor classic. The combustible Give it Up is a scorching tightly-syncopated funk workout that wouldn’t sound out of place on a vintage Tower of Power album. The mellower mid-paced Latin grooved bonus track Many Moods with exquisite horn parts, lit by celestial shimmering guitar accompaniment. The original release elicited positive press reviews including Rolling Stone which said “…all in all this music has something that everyone will love” as well as Billboard’s “Top Album Picks”. 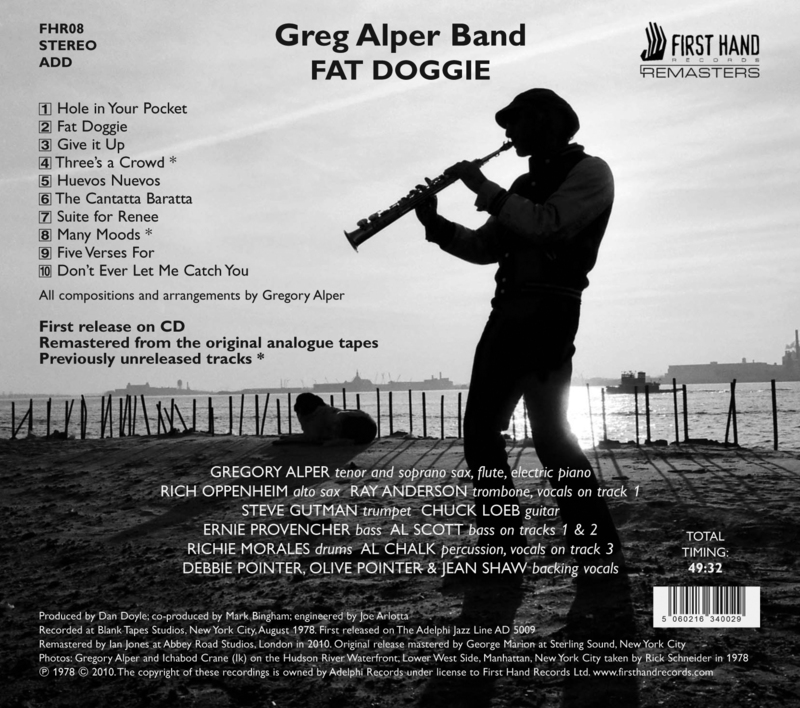 In recent years, the hard-to-find ‘Fat Doggie’ album has become something of a cult collectable with groove spotters, DJs and jazz-funk disciples the world over. 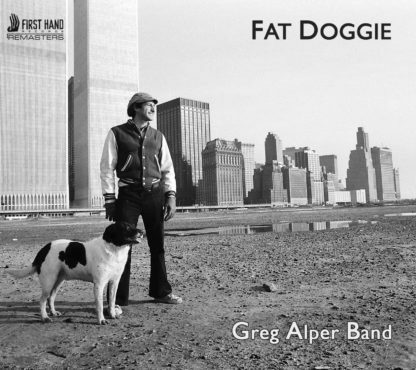 Remastered at Abbey Road Studios using the original source tapes, ‘Fat Doggie’ has once again been unleashed from the kennel!